For the first time in more than three years, imprisoned human rights activist Narges Mohammadi was granted furlough for three days to visit her severely ill father, according to her lawyer Mahmoud Behzadi. As soon as she left Evin Prison in Tehran on September 26, Mohammadi drove 210 miles west of the capital to the city of Zanjan, where her 85-year-old father has suffered three major brain seizures in the past year, Behzadi told the semi-official Iranian Students News Agency, ISNA. Mohammadi's mother, Ozra Bazargan, had written a letter to Tehran Prosecutor Abbas Jafari Dowlatabadi on September 11 requesting permission for her daughter to go on temporary leave so she could visit her "worried, sick, old father for just an hour." 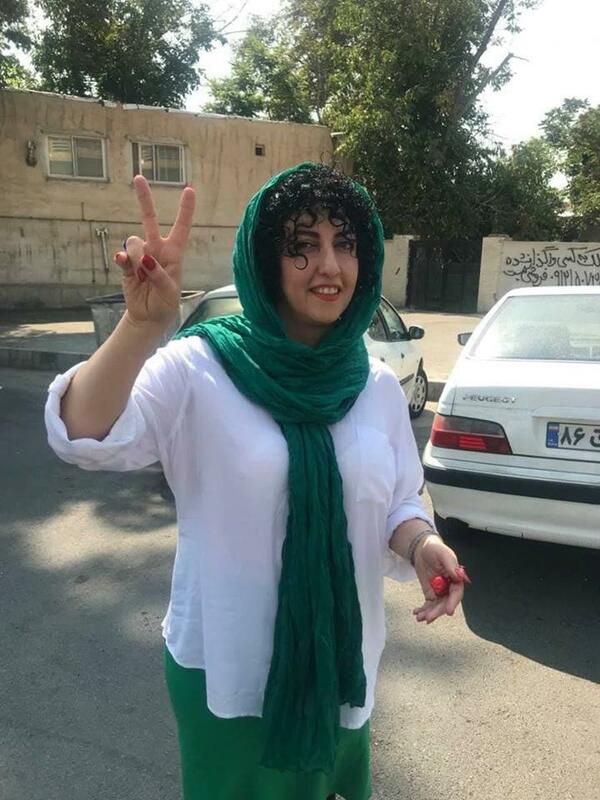 In 2017, Mohammadi refused an offer to go on furlough on the condition that she not to talk to media outlets or see anyone outside her immediate family. Arrested in May 2015 after discussing Iran's human rights issues with European Union's foreign policy chief, the 46-year-old physicist and human rights advocate is serving a 16-year prison sentence for her public advocacy of women's and human rights under the charges of "membership in the Defenders of Human Rights Center," "assembly and collusion against national security," and one year for "propaganda against the state." She will be eligible for release after serving 10 years. The attorney told ISNA that Mohammadi is eligible for parole but the request had not been approved. On June 30, 2018, Mohammadi was hospitalized due to severe kidney pain and underwent tests for gallbladder and kidney stones. She was returned to prison after a few days and her request for furlough, to receive proper care outside the prison, was denied. 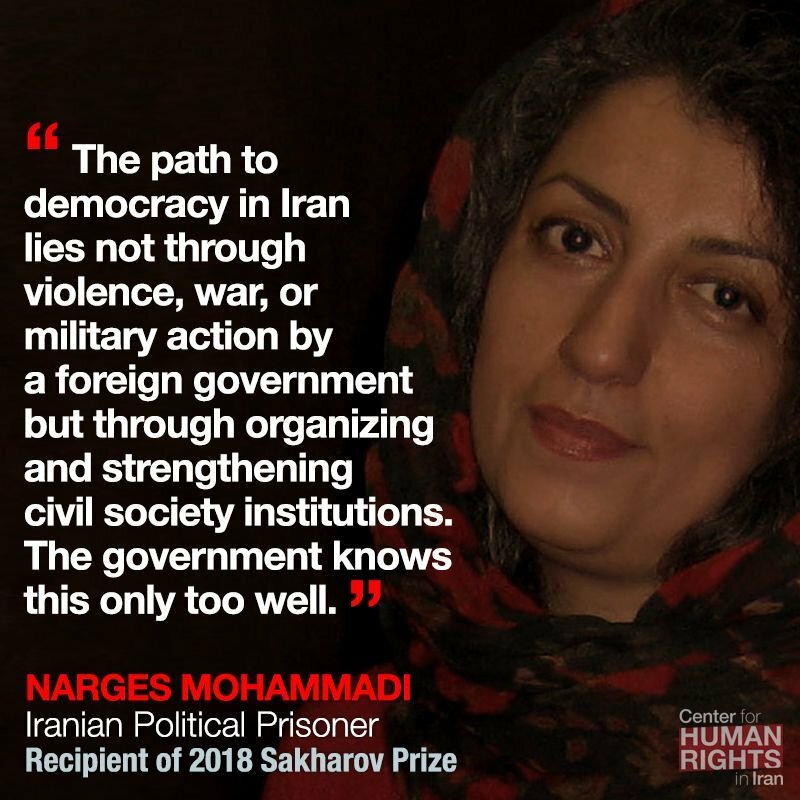 Mohammadi, who was awarded the Per Anger Prize for her defense of human rights in Iran in 2011, was first arrested in 2009 and sentenced to 11 years in prison for the charges of "assembly and collusion against national security," "membership in the Defenders of Human Rights Center," and "propaganda against the state." She was arrested again on May 5, 2015, two weeks after meeting with Catherine Ashton, the European Union's foreign policy chief at the time, at the Austrian Embassy in Tehran. In September 2016, Branch 26 of the Tehran Appeals Court upheld a 16-year prison sentence against Mohammadi for the charges of, "membership in the [now banned] Defenders of Human Rights Center," "assembly and collusion against national security," and one year for "propaganda against the state."